There’s a good lesson to be learned here from the great State of Ohio. If you want to drive a lot of traffic to your website, then offer a “website only” offer that customers just can’t refuse. However, be warned, if your offer is as good as Ohio’s with their appliance rebate program, you better have the bandwidth to support the traffic. 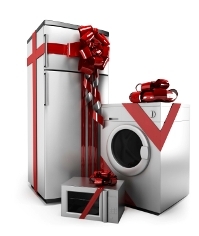 The Ohio Appliance Rebate program shut down their website. The program requires customers to go online or call a toll-free phone number to reserve their rebate, ranging from $100 to $250 for new Energy Star-rated refrigerators, clothes washers, dishwashers and gas and electric water heaters. Within the first hour of the program, some visitors to the web site, www.OhioApplianceRebate.com, got a message saying it was experiencing high volume and that they should be patient and try again later. Callers to the toll-free number, 1-888-686-8896. were getting a recorded message telling them to go online to get a rebate reservation.